Tum Mere Ho Is One Of The Worst Love Stories, One Of The Most Trolled And A Low Rated Films, As Per BOI It Was Average, After Update Expected To Be Semi Hit, Some Chance Even For Hit But Very Low So Not Counting That. bro waise 4 cr nahi hoga old boi 1.2 cr diya hai. Dil ka 7 cr diya hai ab dil ka 7 cr se 10 ho gaya hai to tmh ka 2 cr se jayada nahi aayega. ha semi hit confirm hai. chance are there for hit but minimal. He has worked in some great ventures of yrf and dharma last decade. Veer zaara, Main hoon naa, Kal ho naa ho, chak de india are some great entertainers. But sadly srk couldn't able to deliver their deserved collections. The count has fallen to 1 this decade. LOL On which planet it did 4 Cr? Correct your database. It's Lifetime is 0.2Cr ~ 1.3Cr in 2018. Ffs stop posting fake figures. Stop manipulating 20Lacs to 4cr LOL . Jaake Puch Apne Maalik Jatinder Se Uska Kahan Kahan Golmaal Kiya Hai! Now what next? Tum mere ho vs guddu? Or daulat ki Jung vs English babu desi mem? 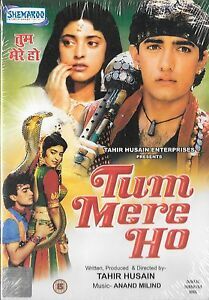 Lol Tum Mere Ho Is Successful Unlike These Films! SRK's biggest release date was of Veer Zaara, Diwali and EID together but then to that movie was just super hit?